The public protests columnated in a massive Internet blackout. This had the desired effect, as the bills were eventually shelved early 2012. In the many years that followed, the “site blocking” issue was avoided like the plague. The aversion was mostly limited to the US, as website blocking became more and more common abroad, where it’s one of the entertainment industries’ preferred anti-piracy tools. Emboldened by these foreign successes, it appears that rightsholders in the US are now confident enough to bring the subject up again, albeit very gently. Most recently the site-blocking option was mentioned in a joint letter from the RIAA and the National Music Publishers’ Association (NMPA), which contained recommendations to the Intellectual Property Enforcement Coordinator (IPEC) Vishal Amin. The IPEC requested input from the public on the new version of its Joint Strategic Plan for Intellectual Property Enforcement. According to the music industry groups, website blocking should be reconsidered an anti-piracy tool. “There are several changes that should be made legislatively to help legal authorities and third parties better protect intellectual property rights,” the music groups write. The RIAA and NMPA choose their words carefully, realizing that it’s a sensitive issue. In a single sentence, however, they hint at bringing back SOPA-like blocking powers, including criminalizing online streaming. A lot has changed in recent years though. The music groups point out that site-blocking has proven to be an effective enforcement tool abroad which has helped to decrease piracy and boost legal consumption. According to the music industry groups, there is a pressing need for additional tools to stop pirate sites which increasingly use foreign domain names and bulletproof hosting. Blocking could be the right answer. As such, now could be a good time to put the issue on the political agenda again. 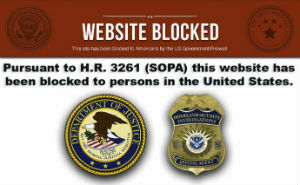 “As website blocking has had a positive impact in other countries without significant unintended consequences, the U.S. should reconsider adding this to its anti-piracy tool box,” the RIAA and NMPA write. The RIAA and NMPA are not the only ones to hint at these measures. The Copyright Alliance, which describes itself as the “unified voice of the copyright community,” also references site-blocking. Again, very subtly. There’s only one suggestion that’s specifically mentioned in this regard, and that’s site-blocking. The Copyright Alliance points out that this has been rather effective abroad and that the US could learn from these efforts. “In addition to learning what remedies are effective, much can be learned from other countries in ensuring such remedies are proportionate and do not result in overblocking or other unwanted consequences,” they write. The submissions suggest that after seven years copyright holders are gearing up to call for US blocking proposals again. While these will undoubtedly be met with protests, a full comeback is inevitable. In recent years US rightsholders have lobbied and litigated for site blocking measures in dozens of countries, while the issue was left untouched on their home soil. This is now starting to change, very slowly. Here are the above -referenced copies of the RIAA/NMPA (pdf) and Copyright Alliance (pdf) submissions to the Intellectual Property Enforcement Coordinator, which both cover a wide range of topics.